In the wake of the Charleston shooting, Sens. Joe Manchin (D-W.Va.) and Pat Toomey (R-Pa.) are considering ways to renew their failed push to pass meaningful gun control legislation. In separate interviews Tuesday night at a reception before a ceremony hosted by Sandy Hook families to honor Toomey, they discussed their desire to find a new way forward. “We want to make sure we have the votes. 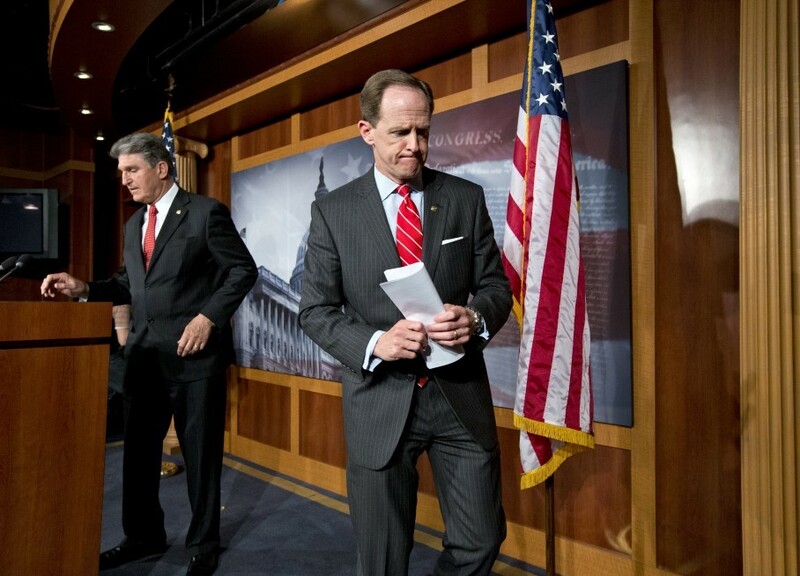 Pat’s going to have to, and I’ll work with him, to get some of our colleagues on the Republican side,” Manchin said, adding he hasn’t talked directly to Toomey about a revival. Manchin specifically mentioned an effort aimed at keeping guns out of the hands of people diagnosed with mental illness. Though the effort is in the early stages, Toomey also said he’s looking for opportunities to reintroduce something related to combating gun violence.